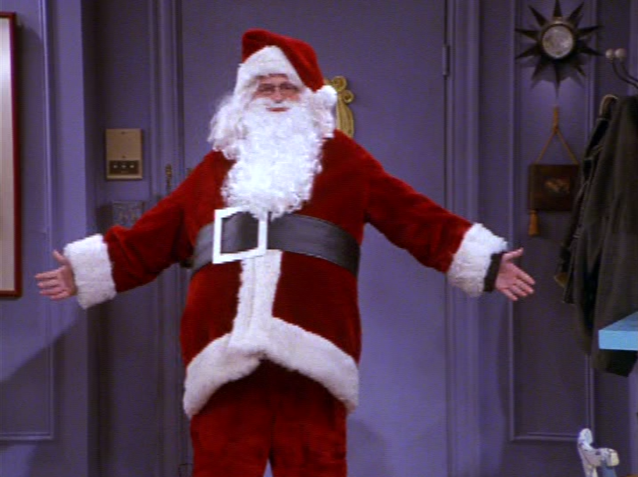 Would YOUR lousy friends be so creative when they ran out of Santa suits at the shop? Would they go to the shop for you in the first place?! Thought as much. 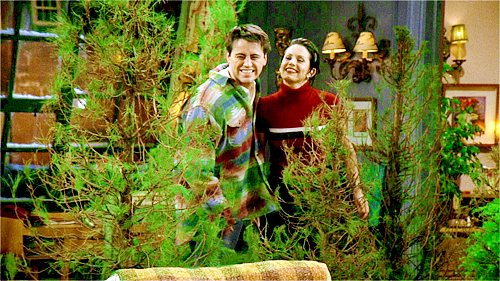 Your housemates won't even let you get a real tree, let alone fill your (tiny) flat with real ones before they head for the chipper. Thanks guys. Thanks a bunch. Your dad's Christmas stories tend to wind up with how he won over your mam in a Swindon Wetherspoon's. No Macabees or armadillos whatsoever. OK, Chandler laughed a bit, but not HALF as much as your horrible mates would. At least they cared enough to buy them toilet seat covers. And a lemon lime. OR ANYTHING AT ALL, COME TO THINK OF IT. Mainly because SHE LET HER MATES DECORATE THE GODDAMN TREE EVEN IF SHE DID END UP RE-DOING HALF OF IT BECAUSE THAT'S WHAT CHRISTMAS IS ABOUT. When you grow a belly, everyone just laughs. When *you* try your hardest to get gout at Christmas, everyone starts 'helpfully' nudging you towards a January gym membership. And makes you chuck away your maternity pants. WHY CAN'T WE SPEND CHRISTMAS AT HOME WITH OUR MATES AND NO AUNTIE MABLE, THOUGH!? No one ever included you in a Christmas song, did they. No. They didn't. Just great food, wine, their (super fancy) apartment, and the people they loved best. Sigh. 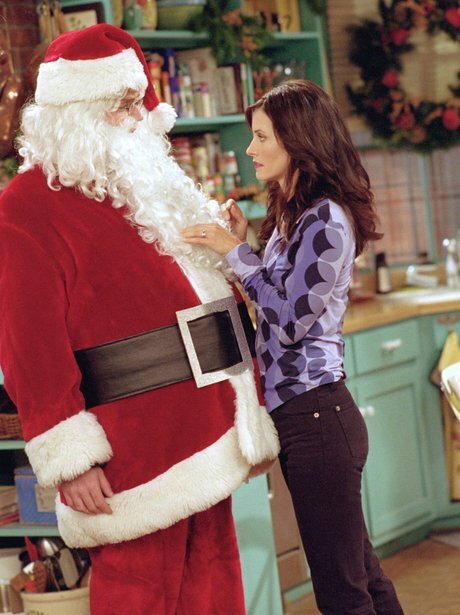 When Ross dressed up as the "Holiday Armadillo"
A kiss under the mistletoe, Rach? "Uh, that? That is basil"
"Here's to a lousy Christmas"
"And a crappy New Year!" Which the rest of them absolutely loved!